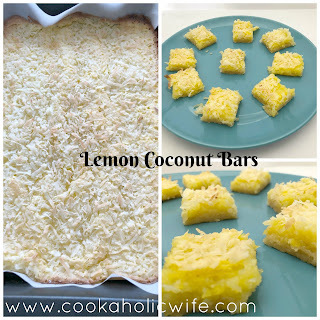 The second recipe I’m sharing with you for #EasterWeek are these Lemon Coconut Bars. There isn’t a ton of ingredients and they come together pretty easily and you may even get an arm work out in the process! 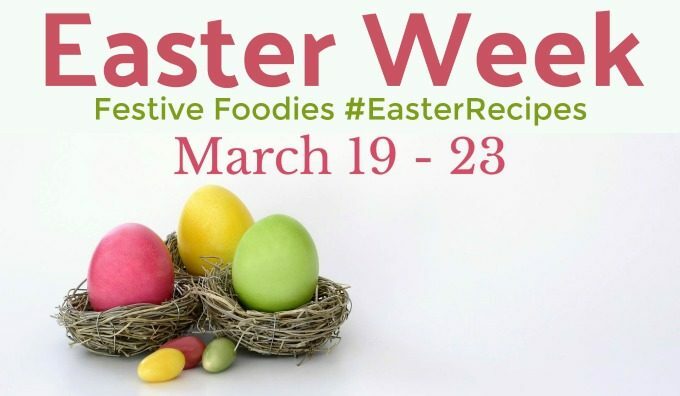 #EasterWeek is a #FestiveFoodies event being hosted by Christie of A Kitchen Hoors Adventures. You can check out what the other bloggers have made at the bottom of the page. Sweet and slightly tart, these Lemon Coconut Bars rest on a crumbly, buttery crust and are topped with a sweetened, flaked coconut, but the real show stopper is the lemon curd middle. Preheat the oven to 350 degrees. Line a 9×13 baking dish with parchment paper, letting a little hang over the edges to easily remove later. In a large bowl, whisk together the flour and powdered sugar. Mix until the mixture sticks together, forming a dough. Press onto the parchment paper in the prepared baking dish. Meanwhile, in a medium bowl, whisk together the eggs and sugar until thick and combined, then whisk in the lemon juice and finally the baking powder, whisking until it stops bubbling. Once the crust has had it’s blind bake, whisk the lemon mixture again to stop it from separating and pour over the crust. Sprinkle the coconut flakes on top. Bake for 25-30 minutes or until set in the center. 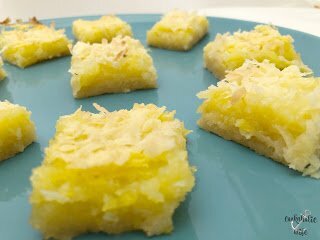 Lift the lemon bars out by using the parchment overhang and cut into little bars. 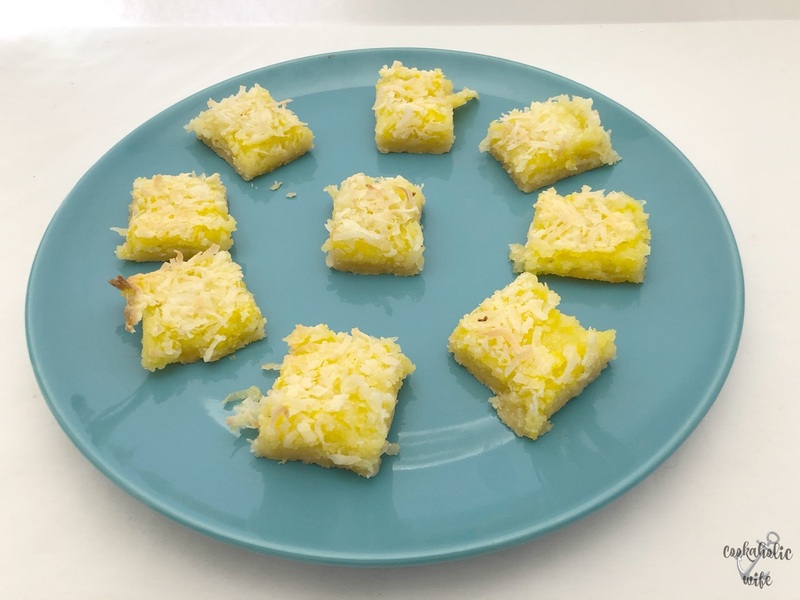 Sweet, just a smidgen tart with a crumbly butter crust and a crunchy toasted coconut topping, I bet you’ll have a hard time only eating one of these! 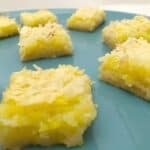 I love lemon bars. Adding coconut sounds so good! 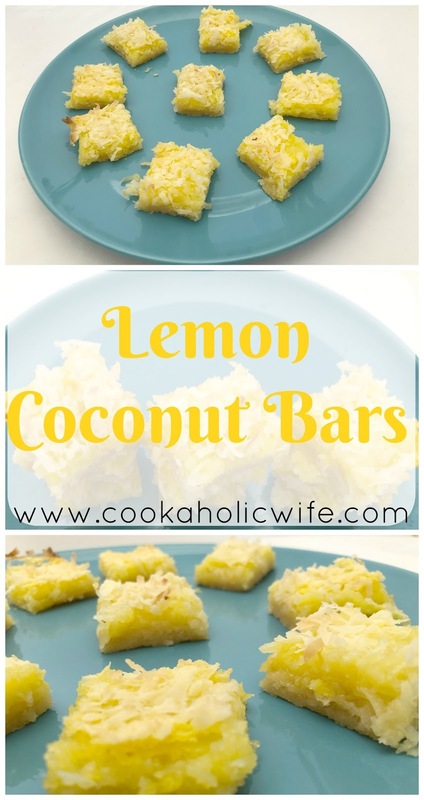 Lemon reminds me of Spring too and these sound like the perfect dessert. I just made lemon bars…and have coconut. Never would have thought to put them together. Now I will. Thanks, Nichole.